Screen PARIS BEAUTY 4 sectional, buy at the price of 242 in Europe. Screen Paris Beauty 4 sectional is made of the highest quality and natural materials. Its basis is a natural duplication wood, which is very reliable and durable. Screen is very stable, firmly standing on the surface. At the same time, it is very mobile and easy to move to another place. 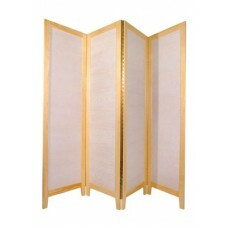 This screen will be a highlight of any room, giving it comfort and aesthetics. It is very easy to use, easy to clean without losing its properties. You can buy screen Paris Beauty 4 sectional right now. Order items from us and you will be the winner. With us, you can buy high-quality screen for the lowest prices in the market of cosmetic equipment. Our offer is very convenient - you can become the owner of the domestic products, which are made for all requirements.